In this article, I’m going to cover what you need to put down in your babysitter information sheet or checklist. *Disclosure: some of the links in this site may be affiliate links. If you purchase through the links we may get a commission (at no extra cost to you). What is a Babysitter Information Sheet? Why do You Need a Baysitter Safety Checklist? What's on a Babysitter Checklist? Having a babysitter that you trust is an awesome thing. A babysitter allows you and your spouse to go on date nights. Even if it’s not date night just getting away from screaming kids or crying babies is a must. Not to mention it’s a great way to recharge. Running errands are also made a lot easier with a good babysitter. If you do have a babysitter, you want to make sure you set them up for success. You want to make sure they understand what your expectations are. You also want to make sure both you and your babysitter on the same page about what they’re going to need and where they can find it. We believe making a babysitting emergency information sheet is one of the best ways to ensure success. You might be wondering what’s in this checklist that makes it so important. We’re going to get to that. Before we get to what to include in a babysitting checklist for babysitters, it’s important to understand a couple different things beforehand. What makes babysitting so different from other forms of childcare? What is a babysitter checklist? Why it’s essential to have the information to leave your babysitter written down in an accessible location? Once you get a grasp on that than we’ll go into what exactly you need in your babysitter safety checklist. You can use the table of contents at any time. You first need to grasp what makes babysitting different than most of the other forms of childcare. If you’re comparing babysitting to daycare, they are very different. Actually, babysitting is different from most other forms of childcare. We’re also including nannying as well. So, what makes daycare so different? Daycare workers and nannies tend to be more experienced. I don’t know how many teenage daycare workers you’ve met, but I haven’t met any. I’ve met plenty of teenagers that are babysitting. Because babysitters are younger, they tend to be less experienced in dealing with kids than nannies and daycare workers. On top of having more years of experience it’s likely they’re also more experienced in dealing with kids in many different settings and circumstances. This might sound a little confusing. So, let me clarify what I mean. When your child is going to daycare more likely than not, they’re going on a regular basis. If you’re using a babysitter, you’re probably not using a babysitter as often. On top of it when you do use a babysitter it’s likely you have a couple different ones you’re using. You might have your regular, but if they’re sick or busy, you probably have a couple different backups. I know you’re probably wondering why is this important? Several reasons and they all relate to consistency. At daycare, they usually try to have the child in the same daycare room with the same teacher following the same routine. Your baby and your schedule will do better with structure (source). If you have a nanny, the same would be true. When you have a babysitter, it’s hard to maintain all the above. Sometimes it’s because of a lack of experience. Other times it could be simply because the babysitter shows up irregularly. Another reason why this matters is that a regular caregiver knows your baby. He or she would know your baby’s tendency and habits. If your baby is not feeling well or has a chronic illness, they would be aware of it and used to handling it. All things being equal it would be easier to get better quality care with consistent childcare. Generally, each daycare worker or at a minimum someone in the daycare is going to be first aid and CPR certified. This means if your child has any life-threatening emergency the daycare worker is more equipped to handle it and handle it well. Your babysitter could be first aid and CPR certified, but they probably aren’t. Remember when an emergency arises time is of the essence with babies and kids. You should make first aid and CPR certification part of what you look for in a babysitter. Organizations like the American Red Cross offer such classes. Your daycare worker probably has someone in the room with them. If not, then there is someone next door in the other room. Plus, there’s perhaps a floater going around also. Having extra people means in an emergency, there are extra hands on deck. This won’t be the case with the typical babysitter arrangement. Your babysitter will be there by themselves. If he or she is watching multiple kids and an emergency happens with one kid. It’s going to be hard for them to attend to your child with the crisis while still watching the other children. As opposed to daycares many babysitting arrangements happen in the parent’s house. On the surface, it might not seem like such a big deal. Many parents probably prefer this arrangement. Your kids know your home so it won’t throw off their routine. While you know your home well, it’s likely your babysitter doesn’t. At a daycare facility, the daycare worker is oriented and trained to where everything is at. The worker gets accustomed to that. even regular day to day activity the daycare worker already knows where everything is. If they need emergency contact, first aid or so on, they already know where it’s at. When the babysitter comes into your home, they’re coming into an environment they’re not used to. 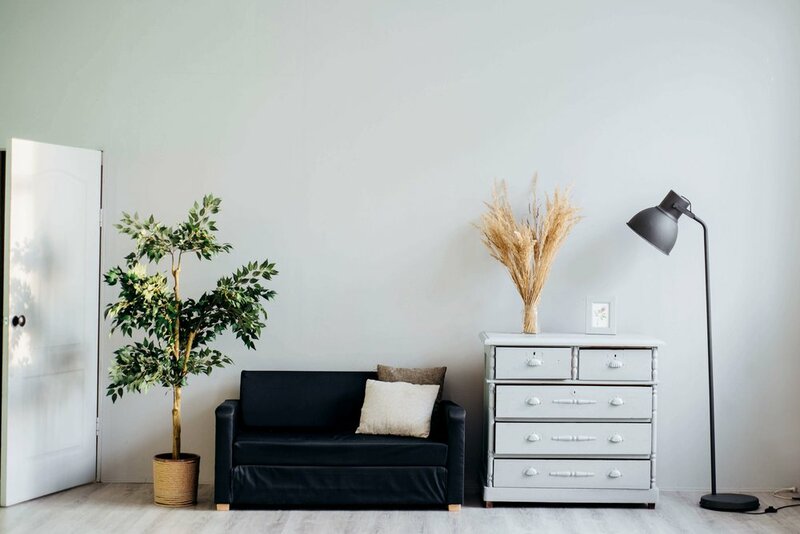 Unless you use the same babysitter regularly, they’re not going to be familiar with where everything is in your home? You should look at it this way. it increases the likelihood of your child getting better care. A babysitter’s checklist is a cheat sheet you leave with your babysitter. The cheat sheet should have all the pertinent information you want your babysitter to know. Your probably thinking contact information. While this probably came to your mind first the checklist is so much more than contact information. Contact information and other phone numbers are important and should be on the form. But it’s a small part of the form as you’ll see shortly. Why do You Need a Babysitter Safety Checklist? This checklist is a perfect way to make sure your babysitter has all the information they need. We’ve all probably been there. It can also distract you from having a good time on your outing. If you’re like me, you probably have no peace until you get up and go find a quiet place to make the phone call. If you’re using a new babysitter, this feeling is probably going to happen a lot. A cheat sheet for your babysitter is a good way to help. If you fill out this checklist with all the essential information beforehand it reduces the likelihood, you’ll forget something. If you do forget to tell your babysitter something, it’s less likely to be a big deal. The essential things should already be on the checklist you left. What’s on a Babysitter Checklist? Even if you don't use our babysitter checklist template and you make your own, there are a couple things you'll want on it. With cell phones being as widespread as they are, you might not think this is important. But you might want to reconsider. Sometimes it’s good to still have a physical location people can find you if needed. Seems obvious, but still needs to be said. Make sure to put down your cellphone along with your spouse. Do you like to text? Or are you a don’t text me just call me type of person? Whatever your preferred method of communication is you need to have the conversation with your babysitter. If it’s a teenager that’s babysitting don’t assume they’re going to text you. You might have hired one of the few that prefers to call. You might get a phone call about something you would much rather get a text message for. Because on the flip side, you don't want them to text you for something important and then you never get it. Just because they found your home doesn’t mean they know the actual address. If they needed to call the police or 9-1-1, you want your sitter to have the street address handy. Tracking location of calls was so much easier in the age of the landline phones. If the call is made with a cell phone, it’s a lot harder to track location. Precious seconds could be wasted if it’s an emergency. 9-1-1 is a given for police, fire, and ambulance. You also want to include family members your babysitter can call if they can't get a hold of you. If not family members maybe you have trusted neighbors, they could call for help. If you have a preferred hospital, include that along with the number of poison control. You could also include your pediatrician and maybe your health insurance information. I've never found the value of this because in an emergency your child is going to be treated with or without health insurance information. At the time you need insurance information you'll already be at the bedside. As for including pediatrician that one I don’t get either. Would you want your babysitter contacting your pediatrician? You need a meals slot with breakfast, lunch, dinner and snacks sections. 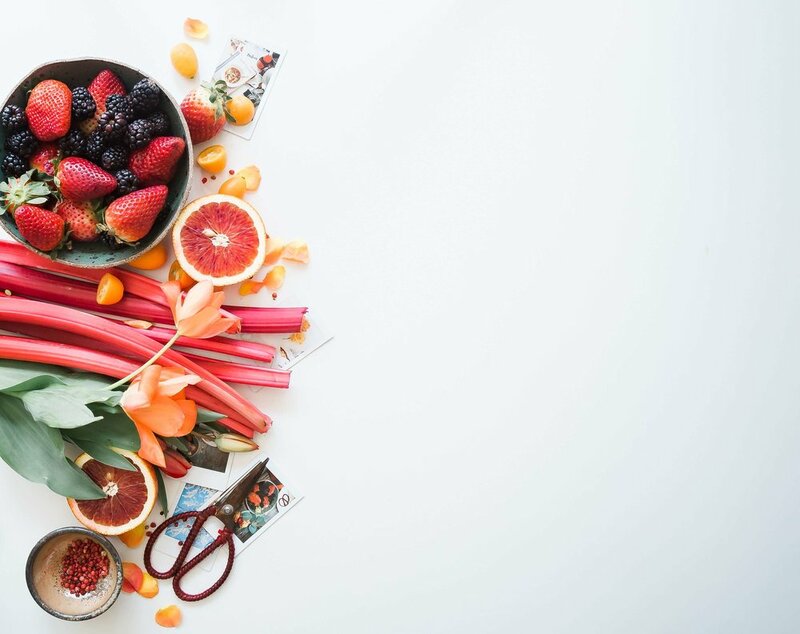 In each section include what time they should have their breakfast, lunch, dinner, and snacks. You might also want to include likes and dislikes as well. If you have a young kid make sure to write out precisely what they can or cannot have. Don't assume your babysitter knows what foods have a high choking hazard. If they're making a formula leave detailed instructions with precisely what you want them to do and how. Include each child's food allergy. This is very important. You want your babysitter to know this especially if it's something that's life-threatening. Write down what you want your sitter to do if the child eats or drinks something they’re allergic to. For example, do you have an EpiPen? Do you want them to call 9-1-1? If you have an EpiPen make sure your babysitter knows how to use it. Don't let an emergency be when they're learning how to use it. Write down times for naps and bedtimes. Also, mention what you do for each one. Do you usually read your child a book or sing them a song? Many babysitters won't do all your bedtime routines but a lot of them will. This is a way to try to keep your regular bedtime routines for your child. Do you have time limits on TV watching or technology use? If you have an unusual TV or entertainment setup make sure the babysitter knows how to use it. Do you have restrictions on certain channels or TV shows they can watch? Maybe you only want them watching your curated kid's shows on Netflix or Hulu. Whatever it is write it down, so the babysitter knows. Don't depend on your kids telling the babysitter what they can or cannot do. If you didn't know this already, kids lie. I think it's more intuitive to put allergies in the food section. But you could put allergies in this section instead. You might decide to put it in both spots. For medical I would save it for any pertinent medical information not related to food. For example, maybe your child has a heart defect that requires extra attention. If your kid has a rash or some new developing issue mention it to the babysitter. You don't want your babysitter worrying over something you already know about. I'm also sure you don't want to be bothered on your date over something you already know. 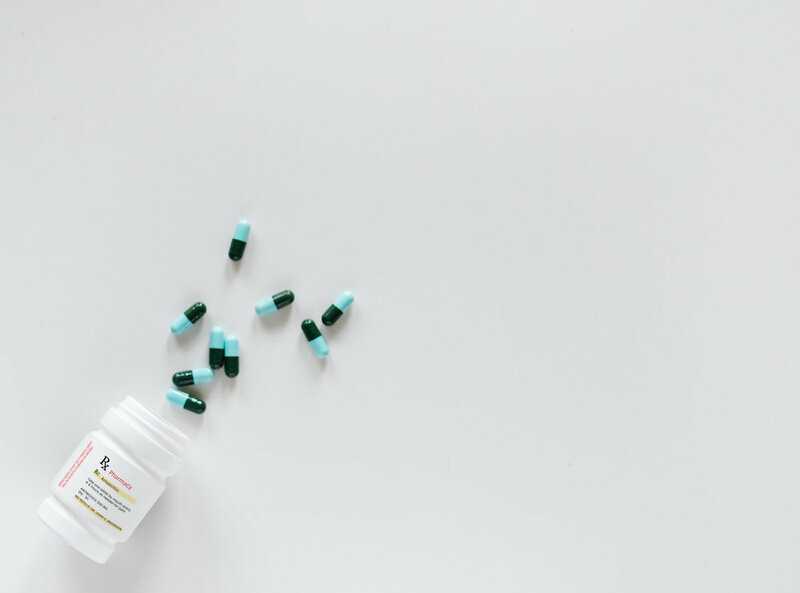 If your child takes any medications, you'll want to make sure to include it here along with the instructions. Tylenol 3ml every 4 hours for fever greater than 99 degrees Fahrenheit. If you have to give it more than 2 times call mom or dad. If a fever is over 101 call mom or dad. Do not have them calculate the dose if you can help it. Do that for them to make sure it's done right. This might be much for a lot of parents. If you're strict on schedule than this might be for you. Map out a schedule of your daily activity in a daily baby activity sheet. This way your baby will stay on their schedule. Babies on their schedule is a good thing. It'll make things easier for your baby. Which will make things easier for the babysitter. Ultimately making things easier on you. 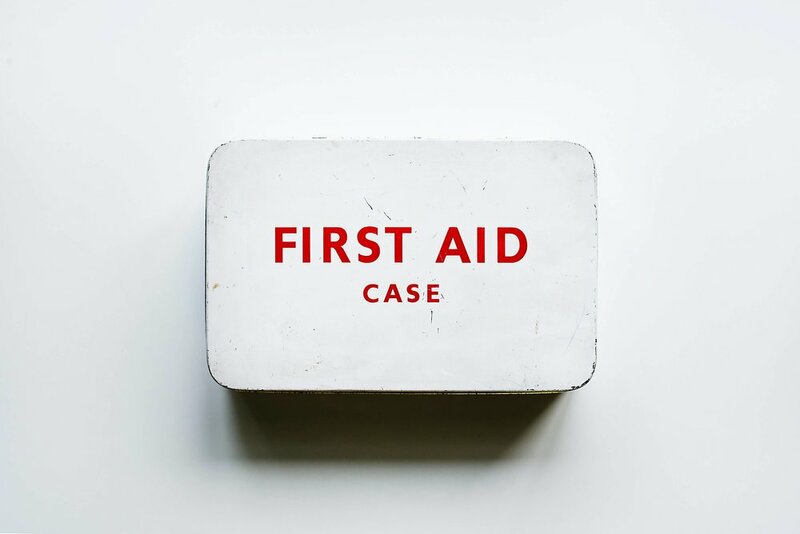 First aide: if you don't have a first aid kit. After getting one make sure your babysitter knows where it's at and how to use it. CPR: I believe any babysitter you hire should be able to do CPR. You never know when your child might start choking. You want your babysitter to know what to do. Baby Sleeping: Make sure your sitter knows that your baby needs to sleep on their back. Baby & Honey: Make sure your sitter knows not to give your baby honey. Giving babies under 1 year of age honey puts them at risk for botulism (source). Babysitter Duties: Have an understanding with your babysitter what duties they're supposed to be doing. If you don't have an agreement with them to clean your home, don't put them in a situation where they feel like they must. We’ve covered what a babysitter checklist is. You now understand why an information sheet that you leave your babysitter is important. At this point, you’re now a pro at what you should include in your babysitter cheat sheet. You’re going to get an email asking you to verify your email address. After verifying you’re going to get a welcome email with the url and password to get your printable. Alright so here’s how you use the form. You don’t have to use ours you can make your own by scratch using what we mentioned above as a guideline. Fill out the new baby sitter checklist. You’ll notice we tried to put all the things that might change more often on its own page. Double check it with your significant others. Look for errors or information that was left out. Laminating the checklist is a good way to preserve it and make sure you don't have to keep filling it out. Go over the form with every new babysitter you have. If you've had them before you don't have to unless something has changed. Go over the checklist make sure your sitter understands everything on there. Answer any questions they might have. And make sure they understand what your expectations are. After you've gone over it with your sitter go ahead and hang it up on a place where it's easily accessible. On the refrigerator is a good spot. Update the information on the sheet as needed. For example, if you learn your child has a new allergy make sure to update. If you haven’t signed up to get yours, you still can. We've made a template for our email subscribers. You can print it out for your personal use. Enter your name and email address below to get your template sent to your inbox. Thank you. After confirming your email address. You’ll get an initial email with the url and password to the members only area. Remember this is just a tool to be used as a guide. The primary goal is to have a good line of communication with your babysitter. You want them to know what your expectations are when certain situations arise. This checklist is a way to make sure it happens. A good checklist should have all the critical information on it. 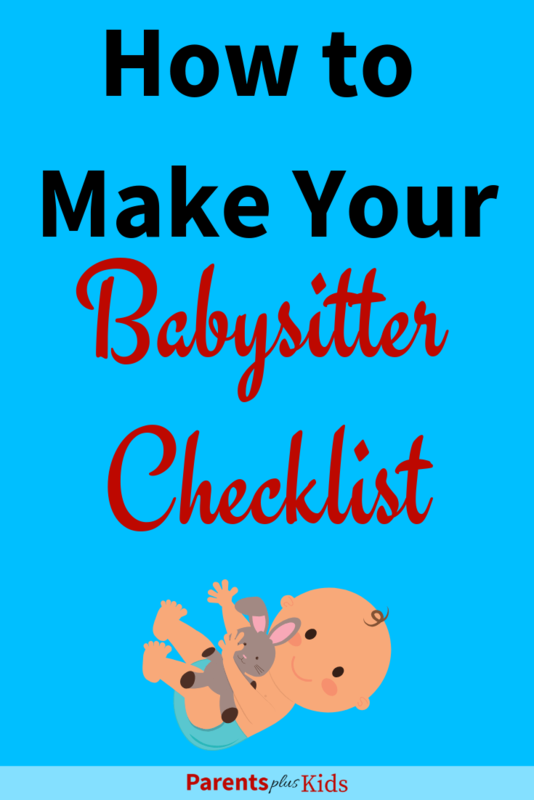 What are you including in your babysitter checklist? Please take a moment to share this article. So we can help out other parents. Further Reading: Check out our other articles on parenting.